and taking care of our hair means taking care of ourselves. 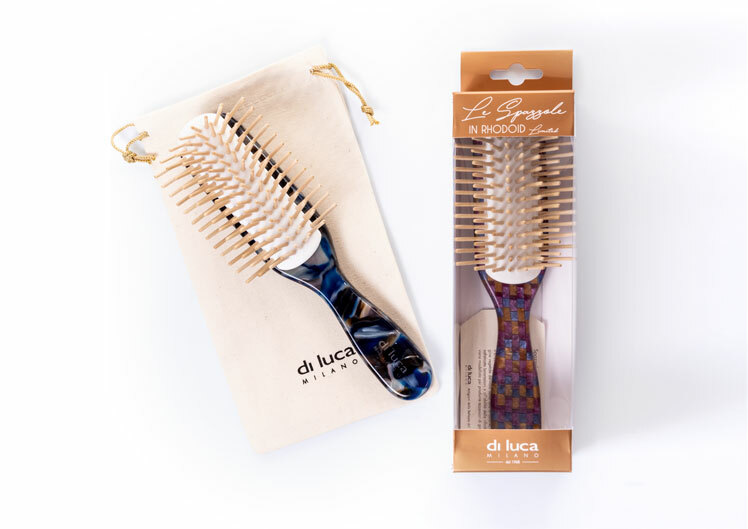 Using the Di Luca Milano brushes every day improves the health and beauty of your hair: the specifc shape of the wooden teeth and their silicone support produces a benefcial massage that promotes better circulation of the scalp and strengthens hair follicles. The Rhodoid has a centuries old history. It's a vegetable material derived from cotton fiber which, thanks to sophisticated processes and the skill of hand fnishing, is modeled and customized to produce high quality accessories. 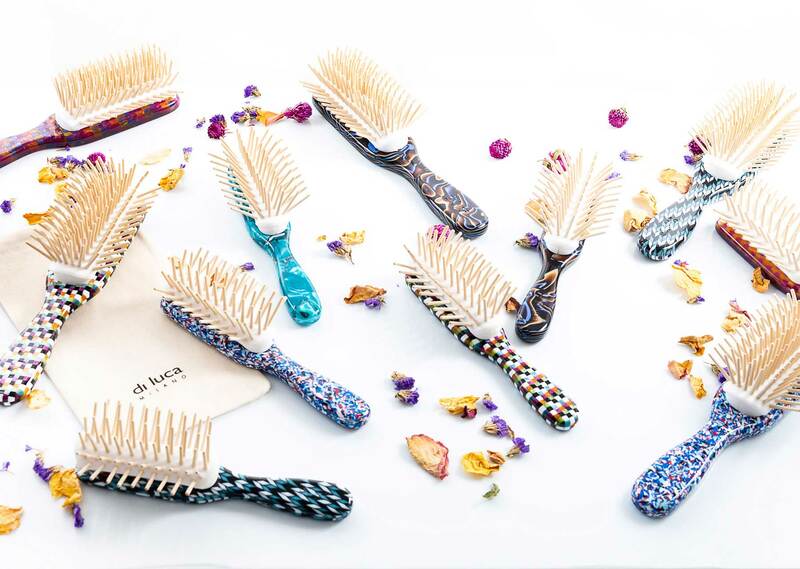 Di Luca Milano chooses it for the handles of its brushes, stylistic icons of refned product design, ofered in an extensive variety of colors and tones that make each brush diferent from another. Di Luca Milano selects only precious woods with marked aesthetic qualities, which express their personality through absolutely unique shades and veining. From Zebrawood to Wengé, a selection of essences that match every personality. 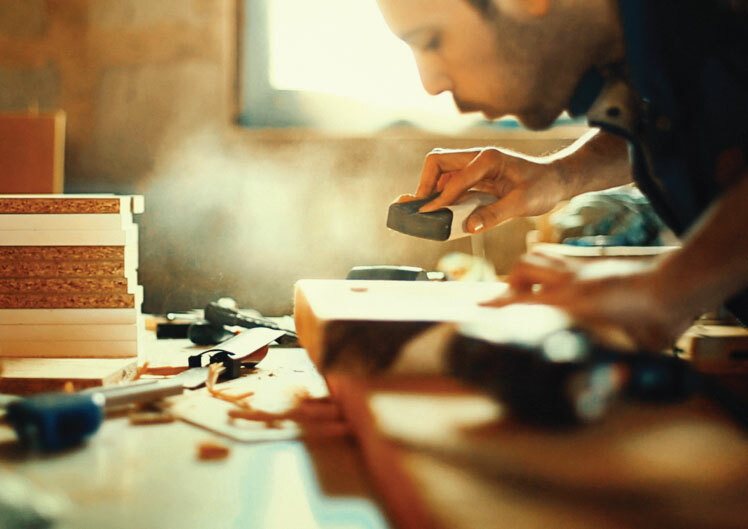 Each handle is the result of our experience in handcrafting, which follows the grain of the wood in order to produce high quality accessories. 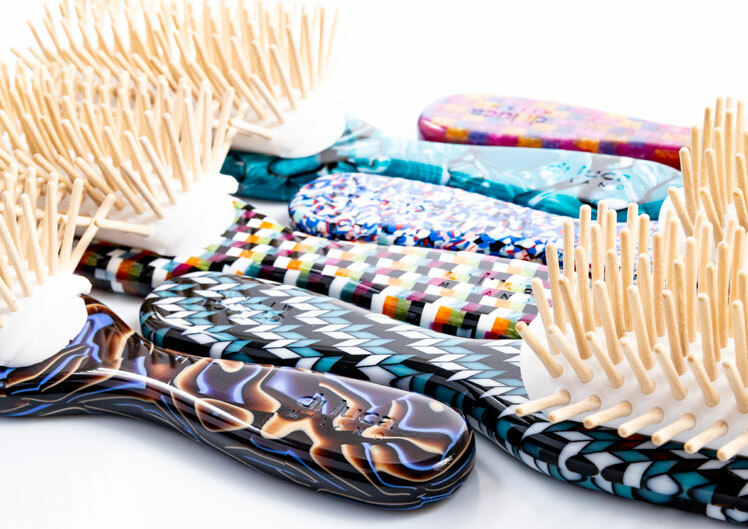 The heart of the hairbrush is made of wooden teeth and their silicone base: a non static, nonallergic structure with an air chamber that cushions your brush strokes, allowing the teeth to move gently and caress the scalp without tearing your hair. 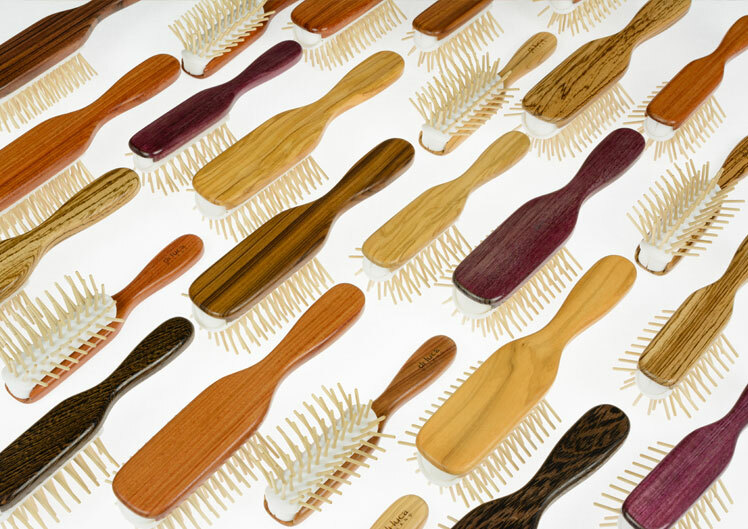 It is this massage that turns Di Luca Milano brushes into a tool for your wellness; with every stroke, the teeth stimulate circulation along the scalp, strengthening hair follicles and reducing hair loss. Moreover, the porous quality of hornbeam wood absorbs excess sebum produced by your skin, allowing for greater respiration by the scalp. This structure is also removable, making it easier to thoroughly clean it or to replace the teeth. 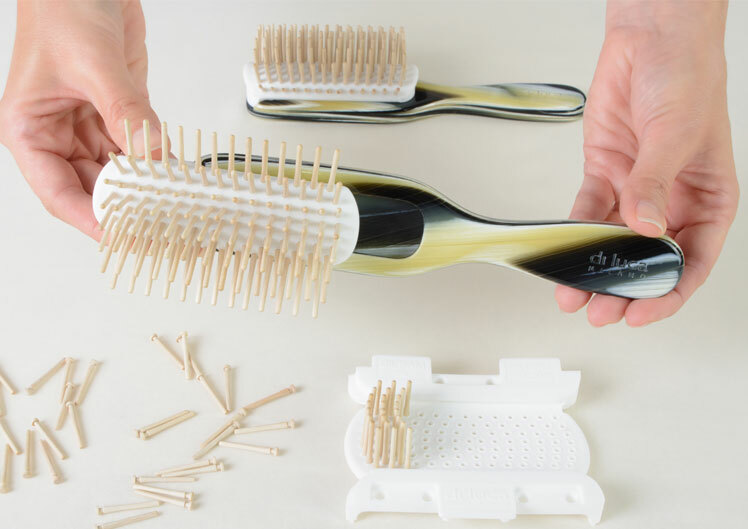 The final result is an avant-garde brush from a technical point of view, bringing together design, health, and well-being for your hair.